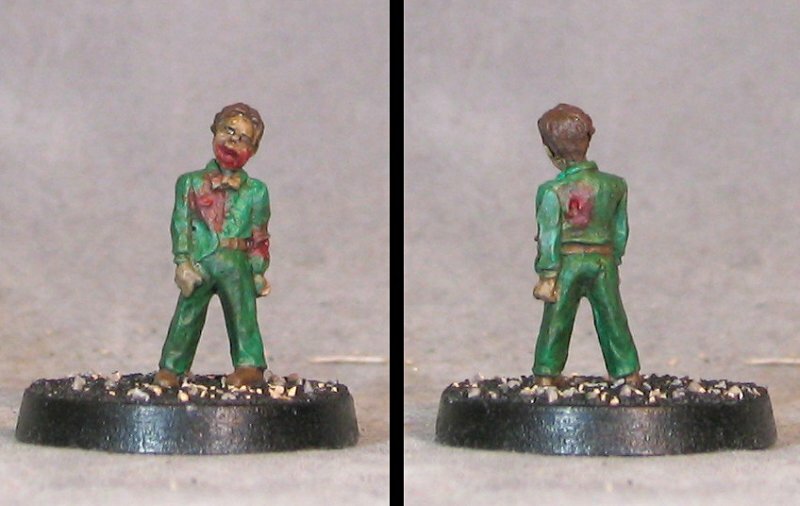 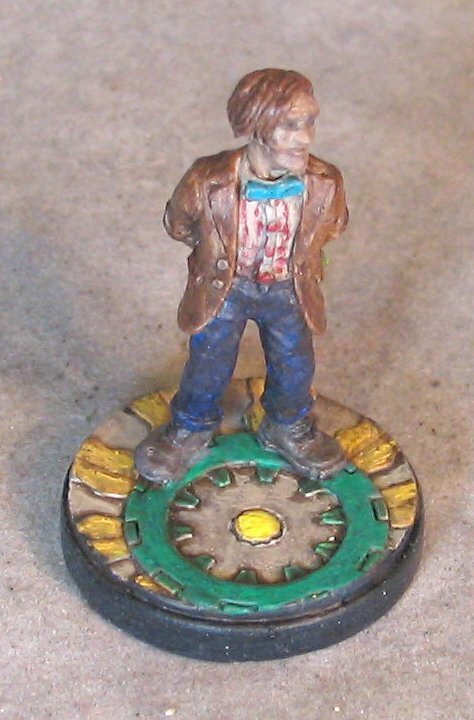 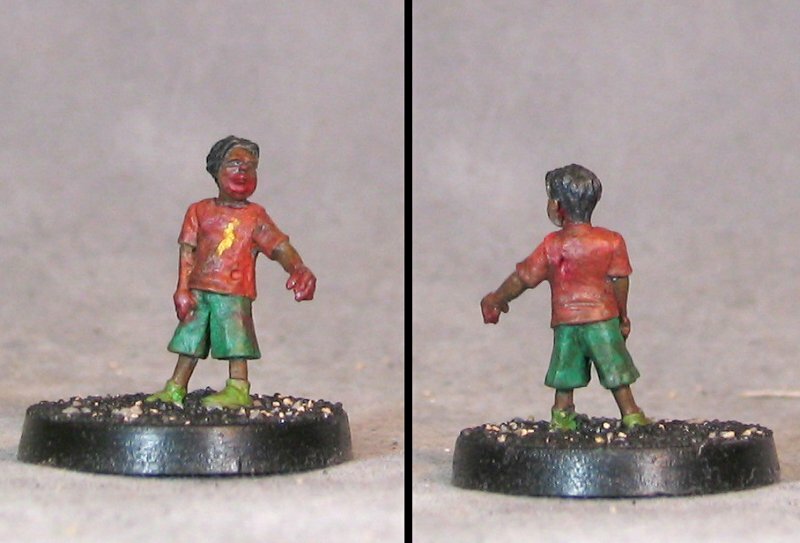 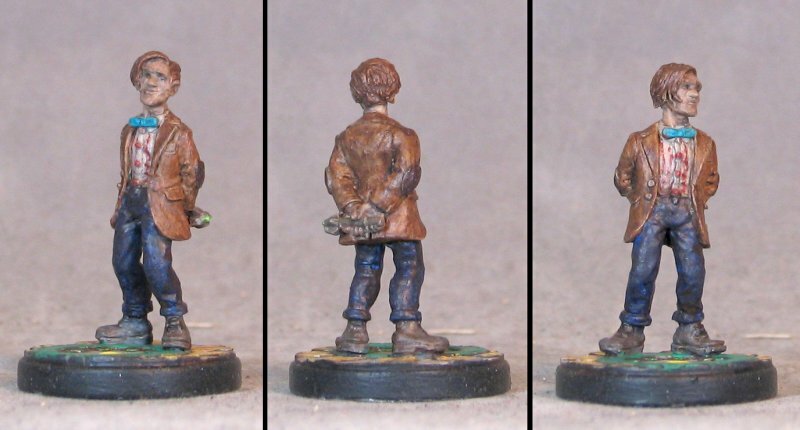 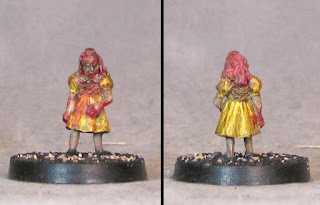 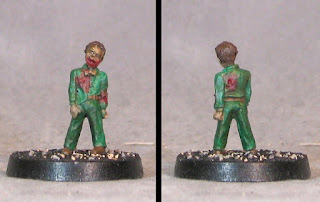 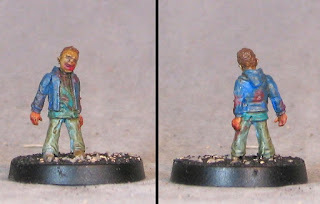 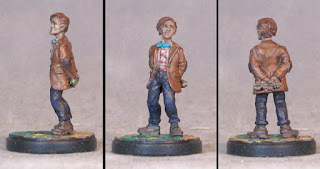 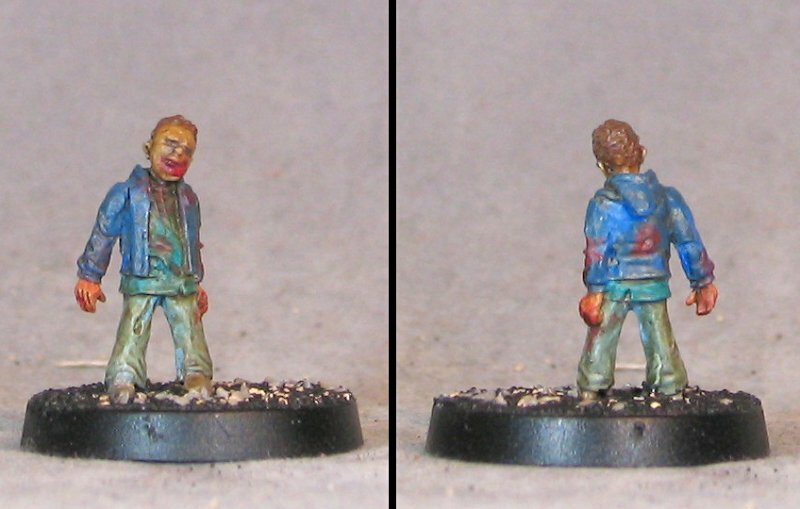 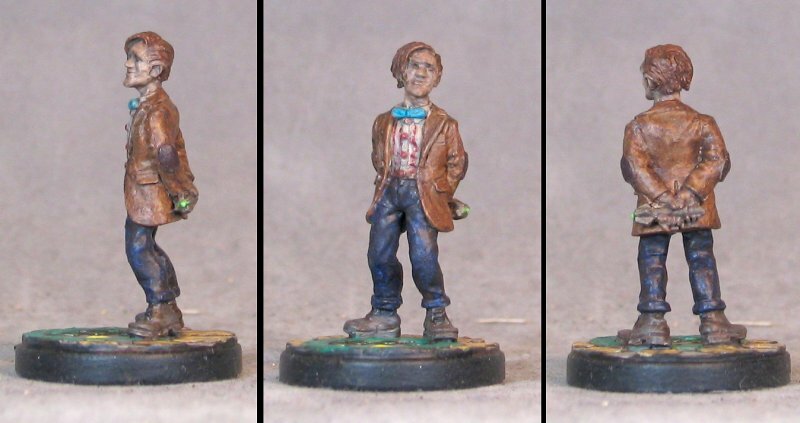 These Kid Zombies are from Studio Miniatures. 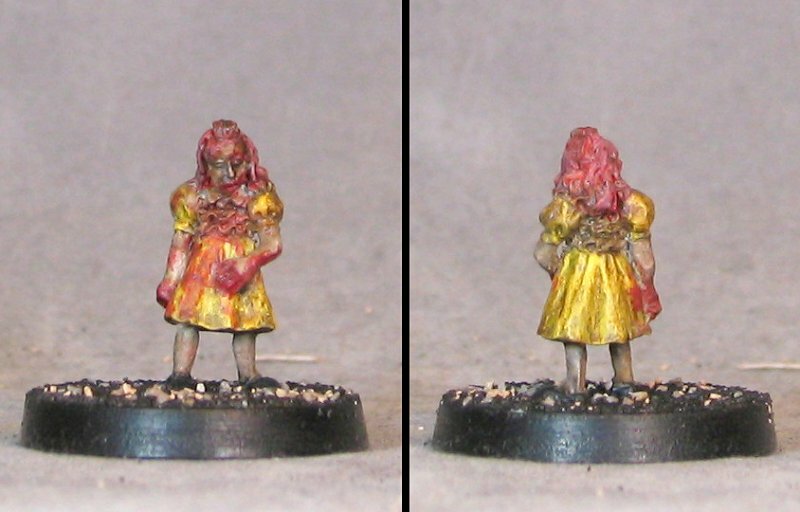 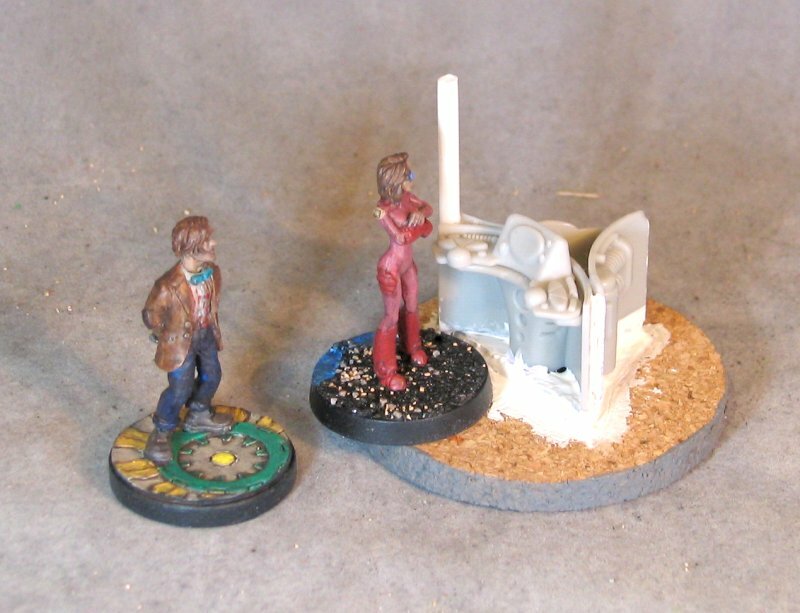 There were 6 in the pack but the last one just didn't do anything for me so she's in the pile of partially painted zombies to be seen to at a later date. Below are tehse Zombie Kids with some adult zombies from other manufacturers (Zombie Plague, Zombiesmith, Wargames Factory, Mantic). 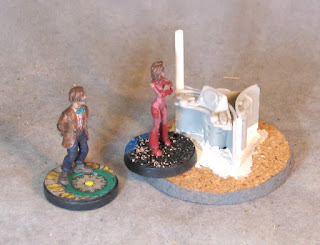 Heresy's NerdLord on a Sedition Wars base. 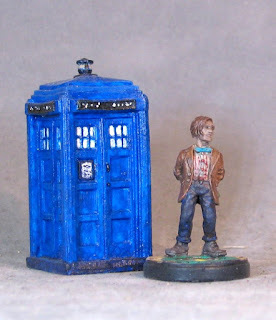 And the NerdLord with some Reaper blue box thingy. From the Havoc Protocol Kickastarter, the Hacker Girl- she's going to part of a Temporal Crisis Response Team acting as the team's Temporal Hacker.